After you fill out your Commitment Card you can setup an automatic payment at the frequency of your choice. Simply click the button below, enter an amount, select the "2019 general/pledge fund", and enter your email. On the following screen you will have the option to create a recurring payment. Let us know if we can assist you in any way during this process. Do you struggle to make ends meet? Do you earn plenty but, because you try to “keep up with the Joneses” you still find yourself living paycheck to paycheck? Does debt weigh you down? Are you worried about saving for the future? Or, do you earn more than you can spend, but at tax time look back and wonder where it all went? Money and money management can cause stress and anxiety. When managed well, money can serve a life that’s full of purpose and joy. But, more often than not, we feel like we spend our lives serving money. 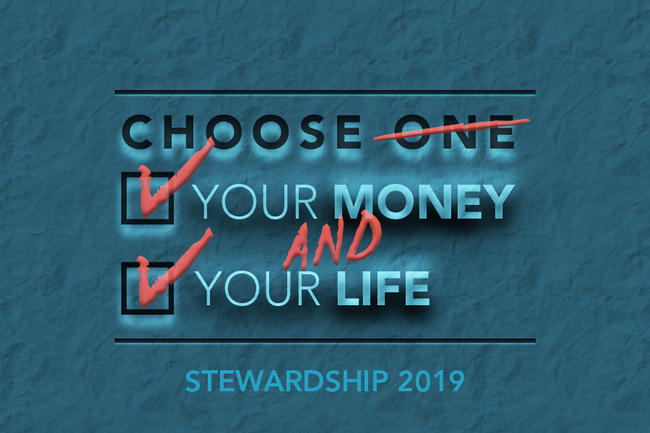 Join us for this year’s three-week stewardship series, “Your Money or and Your Life!” Beginning Sunday, October 21st, we will talk about money and our relationship to it and learn practical strategies to better manage our money at every financial stage and whatever financial challenges we face. Practical tools will be provided in worship, in the weekly email, and on our website and there will be a Financial Seminar on Sunday, October 28th, during the Sunday school hour. Take charge of Your Money or and Your Life to reduce angst and increase joy using methods that are both faithful and practical. Throughout the series we will consider how faithful stewardship of our finances set us up to experience less stressful more joyful lives bent toward generosity and service to God. I’m enclosing a commitment card for you to think about and pray over during this program. In the final week, on Commitment Sunday, you’ll be invited to fill out the card and indicate your commitment to the church for 2019. You submit your pledge online at anytime using the button above. 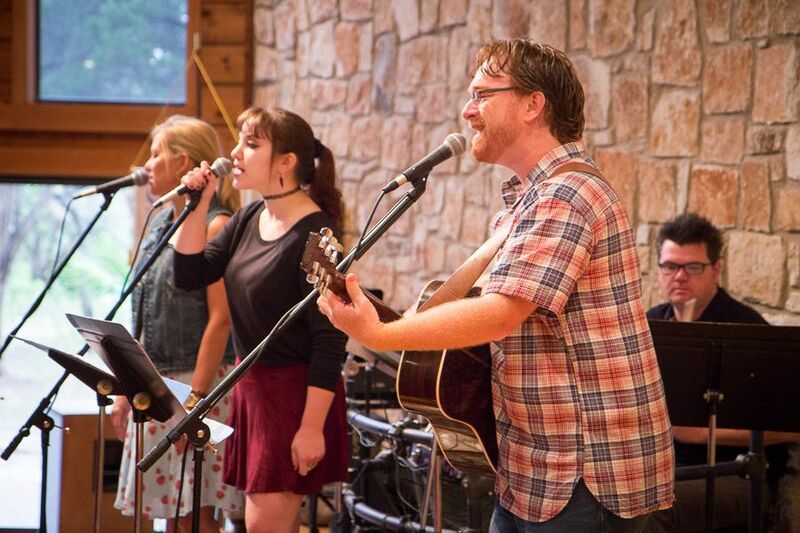 Catch up on all the sermons in our Stewardship series by listening below. Love Podcasts? Click here to subscribe and automatically receive the sermon in your feed each week. We thank you for your generosity and pray you may find the level of giving that is right for you as you progress in your journey of faith and commitment. Your pledges and contributions are a critical part of how we can make a difference in our church, our community, and our world. The following “Frequently Asked Questions” can help you understand stewardship and pledging at Westlake United Methodist Church. We view stewardship as your individual and family’s faith journey to prayerfully consider how God has gifted you with your time, talents and treasures and explore in prayer what you feel that God is asking you to give to our church. A pledge is your commitment to make a financial gift over the next year that supports the ministries of Westlake United Methodist Church. 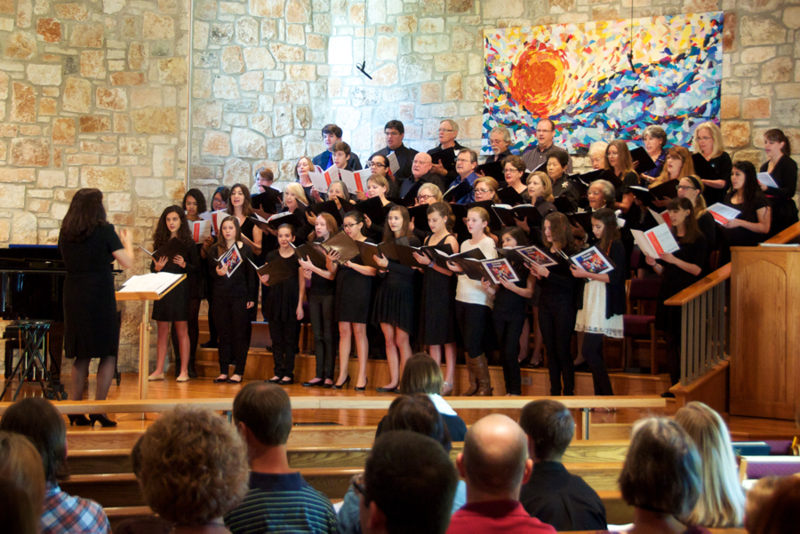 Annual pledges support everything we do at Westlake UMC—from paying staff to supporting our outreach ministries to maintaining the buildings that allow us to worship and connect. In order to be strategic as we plan ministry, the church relies on your financial commitments to develop next year’s budget. Don’t the contributions made in the weekly offering cover our expenses? Weekly non-pledge offerings amount to 17% of our annual budgeted revenue. The single most important source of funding for our ministries comes from the payment of pledges made during our annual stewardship campaign. We believe that you should determine your level of giving in prayerful consideration as you progress in your journey of faith and commitment. However, we would ask that you prayerfully consider making a pledge that is both responsible and significant based on your financial situation. Every pledge, no matter the amount, is an important and critical contribution to our efforts to make a difference in our church, our community and our world. As you consider your pledge for 2018, please keep in mind that our various ministries feel led to pursue ministry opportunities that require at least $1,179,859 to fully fund. We ask everyone to make a pledge no later than Monday, November 11 by bringing an Committment Card to the church, mailing it, or making a commitment online. This will allow Church Council to do the important work of discerning what ministries, staff and maintenance to fund in 2019. A pledge is just a commitment to pay. You may fulfill your commitment in as many payments as you wish throughout the year. Can I pay with credit/debit card or direct deposit? You bet! Please contact the church office at 512-327-1335 or visit westlake-umc.org/give to pay via these methods. We welcome automatic recurring payments as way to fulfill your commitment. Please contact the church office at 512-327-1335 or visit http://westlake-umc.org/stewardship to set up automatic payments. What happens if I can’t give as much as I pledged? We know that life happens, if circumstances change you can notify the church to change your pledge. If you’re blessed with unexpected income, you’re always welcome to increase your pledge, too!